Google announced today that it will stop counting your WhatsApp backups on Google Drive against your storage quota. Users that sign up for a Google account receive 15GB of free storage, however, rather large backups of your WhatsApp media history can eat up into that rather quickly. Under this new agreement, while your WhatsApp backups will be accessible to you on your Goole Drive, they will no longer take up any of your personal space on Google Drive. Google did mention that any WhatsApp backups that have not been updated in more than a year will automatically be removed from storage. This new policy is expected to into effect for all users on November 12, 2018 though some users may see the quota benefits earlier. To avoid the loss of any backups, Google recommends that people manually back up WhatsApp before November 12, 2018. 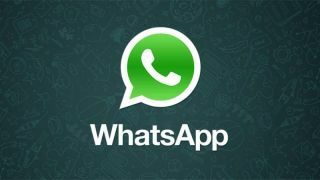 This decision only affects Android users of WhatsApp as iOS backups are storied in Apple's iCloud account.